Posted on Thursday, October 9th, 2014 at 6:58 am. Lean targets waste reduction by identifying and eliminating waste in important areas with the aim to lower costs and improve efficiency. 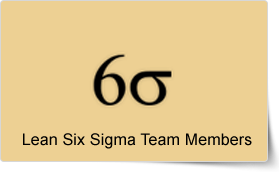 If you are looking to build knowledge of Lean Six Sigma methodologies, join the Lean Six Sigma Team Members Awareness Course, offered by pdtraining in Philadelphia, Chicago and other cities in the U.S. Waste is one of the problems that cause companies to incur greater costs in production. Waste is not limited to physical objects and processes, but also the waste of human resources. Lean concentrates on waste reduction in every important area where waste heavily impacts costs and productivity. Transport - Unnecessary and excessive transportation of goods, raw materials, human resources, etc. Inventory – Any inventory that is not adding value to the end product in any manner, or inventory that does not support the immediate needs, is considered waste. Excessive inventory leads to storage problems, as well. Motion – Unnecessary or excessive movement of people and objects. Any movement that can be eliminated or reduced without impacting an immediate need, product quality, timeliness, etc. is considered unnecessary. Waiting – Any waiting time is considered waste, as it does not add value. Employees waiting for instructions, raw material waiting to be transported or finished goods waiting to be distributed is considered waste. Over-Processing – When more processing is done than is essentially required for production, then the excess steps in processing are removed to save resources. Over-Production – Producing more than what is required to meet demand is considered waste because it uses resources, including storage space. Overproduction leads to excessive inventory, which again leads to other waste, such as unnecessary transportation. Defects – Errors and mistakes that can be prevented or minimized are identified and removed under Lean. Any defect that leads to waste, or quality reduction, is targeted. The 8th Waste – Even though originally Lean included the above mentioned seven wastes, an 8th waste was added later. It is the waste of talent or human capabilities. If the capabilities of the human resources in terms of ideas, skills, experience and abilities are not utilized properly, then it is considered a waste. Even though this waste was added later, it can be accommodated in the original seven wastes. Lean does not only concentrate on a particular area of production, but impacts every important activity that impacts the ultimate goal of production: customer satisfaction. It puts emphasis on improving the quality of the end product by identifying and eliminating waste that does not add to quality and increases cost. Companies use Lean to lower costs of production, improve efficiency of processes, and enhance the quality of the end product. Lean is often used with Six Sigma to achieve process optimization along with waste elimination. The high effectiveness of these methodologies have made them highly popular with companies around the world. All public Lean Six Sigma Team Members Awareness courses include am/pm tea, lunch, printed courseware and a certificate of completion. Customized courses are available upon request, so please contact pdtraining on 855 334 6700 to learn more.